Agrostis_hyemalis_i. copyright S. I. Hatch & J. E. Dawson. Center for the Study of Digital Libraries. Texas A&M University. botany.csdt.tamu.edu (Accessed 7?2017). Agrostis hyemalis is a perennial, C3 grass (Waller and Lewis 1979), 30-90 cm tall, tufted. Leaves alternate, small, below middle of stem, mostly basal, 0.1-0.2 cm wide, erect, narrow, often rolled inward; ligule about 0.2 cm. 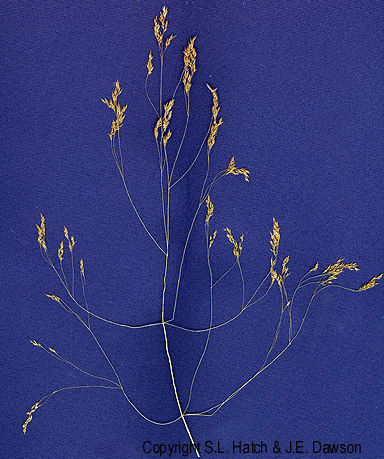 Agrostis hyemalis. By Anna Gardner. Copyright © 2017. Ada Hayden Herbarium – Iowa State U. (Accessed 7/2017). Flower spikelets 1-flowered, about 0.2-0.3 cm long, shiny, in small dense clusters at ends of branches; inflorescence purplish, diffuse, open, wide spreading, often half as long as plant; branches wiry, rough textured, branching again near ends; blooming and fruiting May-June; stems break off, dispersing seeds like tumble weed. Habitat: Open areas, burns, open fill, soil pH 5-7.5, tolerant of anaerobic soils and fire; moderately tolerant of salt and shade; intolerant of drought (USDA, NRCS 2006). Notes: Often infected with symbiotic endophytic fungi Acremonium sp. 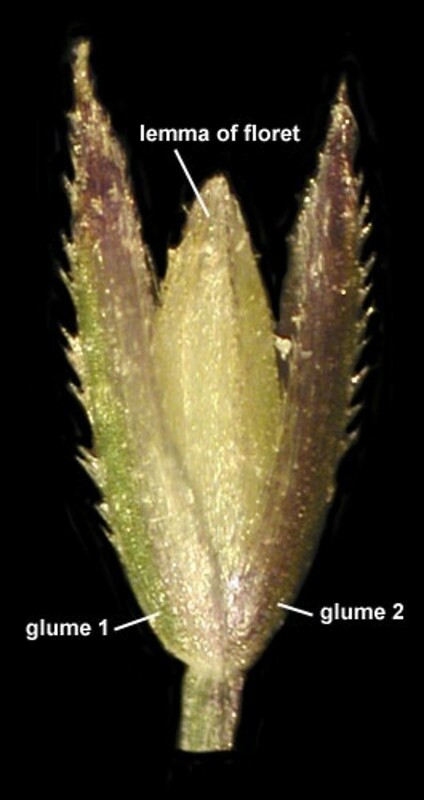 and/or Epichloë amarillans (Clavicipitaceae), (Clay and Leuchtmann 1989; Schardl and Leuchtmann 1999).